Blood, the word synonymous with heart and life; the importance of this element in healthcare is indispensable, and so is the relevance of a skilled phlebotomist. The thriving healthcare industry is projected to launch itself into a bright future, carrying alongside all the allied healthcare services. As estimated by the U.S. Bureau of Labor Statistics, the employment of Phlebotomists will grow by 25% between 2014 and 2024. 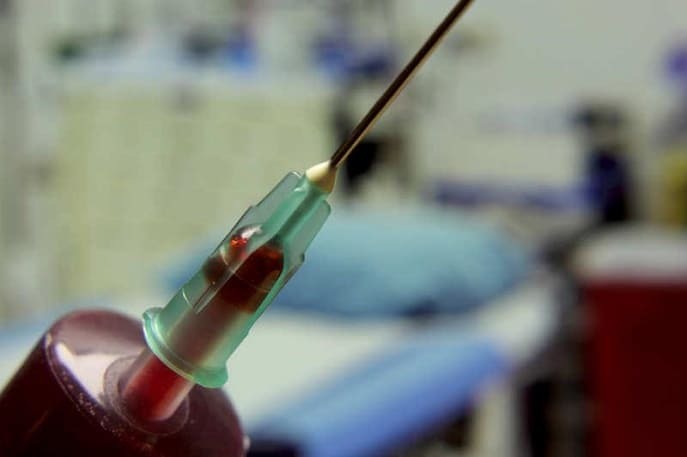 Certified phlebotomy technicians can anticipate better job prospects as a steady rise in the number of people opting for health insurance is being noticed. This will certainly have an obvious positive impact on blood-work-related services. A phlebotomy technician performs venipuncture, the process of drawing blood from a patient’s vein to collect blood specimens for laboratory testing or merely collecting blood from donors. Phlebotomists are important members of clinical laboratories and are employed at a number of healthcare units like nursing homes, research organizations, hospitals, independent laboratories and clinics, and physicians’ offices. The time taken to complete phlebotomy training is usually less than a year, facilitating aspirants to quickly progress towards certification and consequent employment opportunities. Phlebotomy training is a good start for individuals aspiring for a career in laboratory technology. Several phlebotomists go on to eventually become laboratory specialists and technologists. Certification allows for easy validation of knowledge and skills and is highly preferred by employers, reducing their effort on verifying the qualifications of prospective employees. ASCP necessitates the training to include laboratory operations, specimen collection, processing and handling, physiology, and anatomy lessons. The American Society of Phlebotomy Technicians (ASPT) – Phlebotomy technicians with either one full year of part-time employment or six months of full-time employment as phlebotomists are considered eligible for phlebotomy certification by the ASPT. National Phlebotomy Association (NPA) – Unless a candidate has at least one year of work experience as a phlebotomist, he/she must attend phlebotomy training to qualify for certification granted by the NPA. Different states approve different certifications. Candidates must check with the state board for an updated list of respective approved certifications. Certain employers prefer one certification over another. Should a candidate already have a list of preferred employers or be keen on working with any specific employer, then it would be advisable to check for specific certification(s) approved by that particular employer. It is best to opt for a certification provided by nationally-recognized institutions. Getting a vein punctured for collecting blood samples can be a stressful process for patients and donors. A phlebotomist has to be adept at the job and be able perform venipuncture without causing much discomfort to them. Venipuncture is performed not just for diagnosing diseases, but also for processes catering to preventive healthcare and treatment of lifestyle diseases. Owing to federal health insurance reforms, applications for health insurance are expected to be on the rise. Applying for health insurance necessitates individuals to undergo blood tests for submission of required reports. The aforementioned developments are certain to increase the demand for healthcare professionals including qualified and skilled phlebotomists.